A colorful display of data visualization. I designed this poster to be included in a piece of marketing collateral for an annual conference targeted at potential exhibitors. 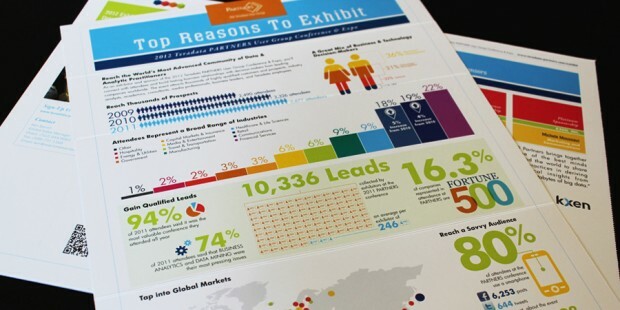 The infographic was designed to be a fun and interesting way to engage the decision-makers and share important statistics regarding exhibiting at this event.